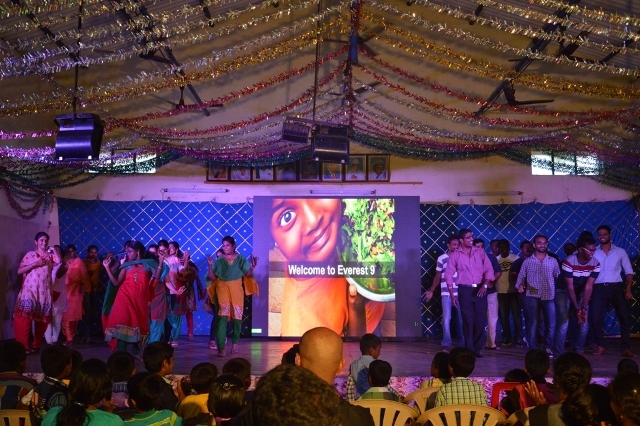 Team Everest completed 9 years of volunteering work and celebrated it along with volunteers, students and parents on Oct-10, 2015. Thanks to all the volunteers who made this journey possible and memorable. 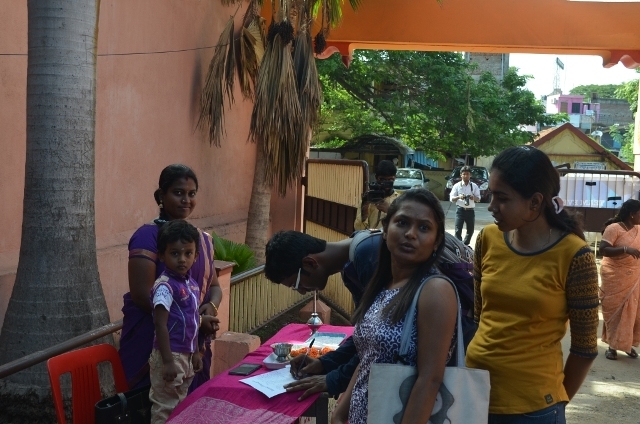 Our ‘Contest for a Cause’ (www.contestforacause.org) stall during the Everest anniversary. Kids and volunteers are the reason why Team Everest exists. 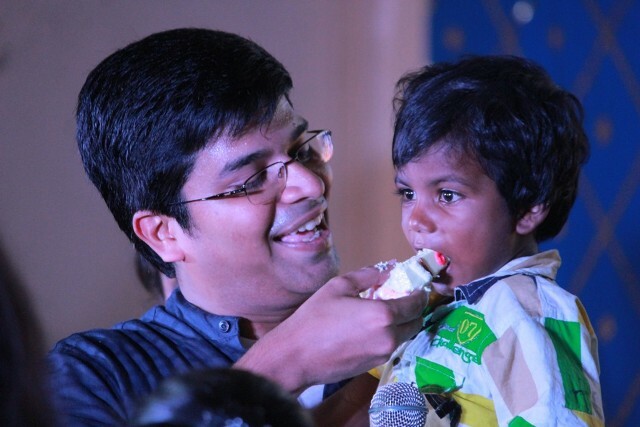 A volunteer celebrating the moment with a piece of cake with a kid. 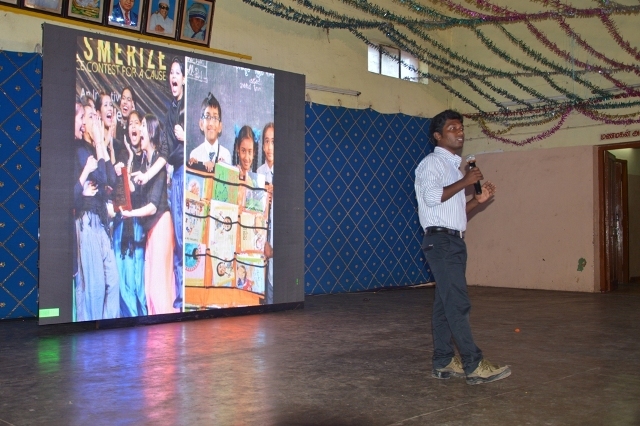 Team Everest volunteer and secretary Vishwa sharing the past one year journey of Team Everest. 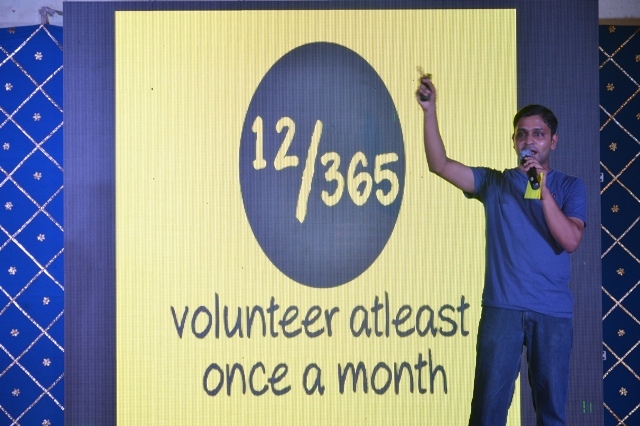 Team Everest was able to touch the lives of 22194 people, with the help of 1493 volunteers through its 267 activities in the past one year. Thanks to all the volunteers who made the difference. 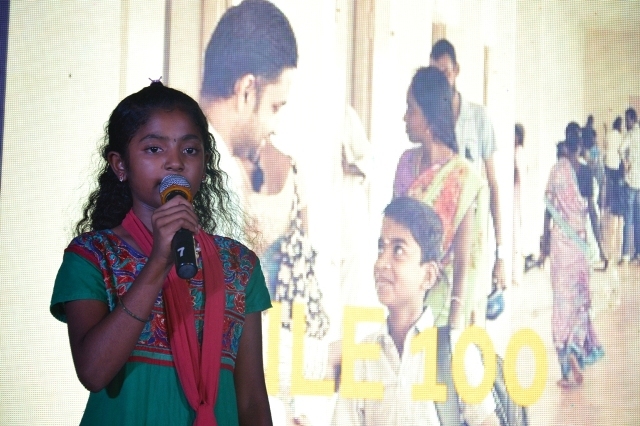 Smile 100 student Jayshree sharing her experience on stage. She aspires to become a collector. 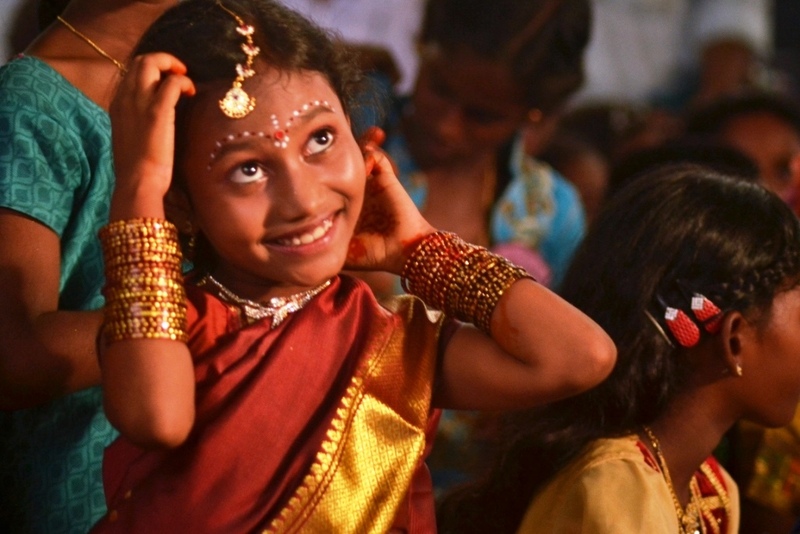 She lost both her parents at young age and her grandma is taking care of Jayashree now. 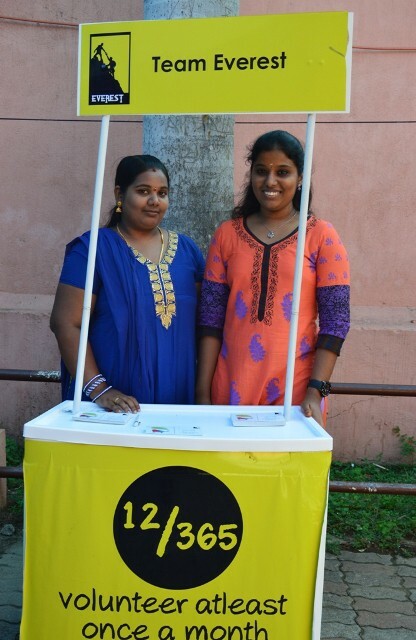 Jayshree’s education is completely sponsored by Team Everest. 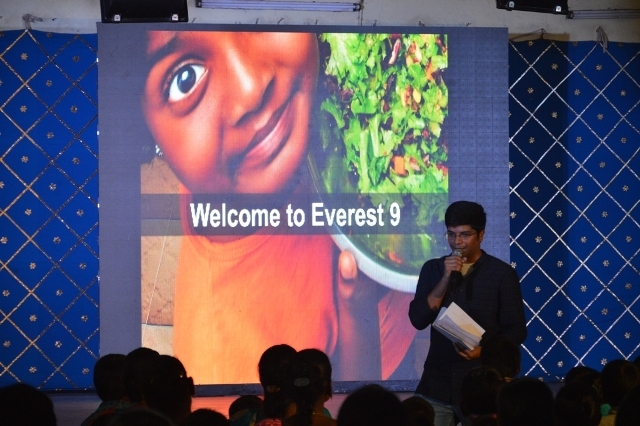 Everest Scholar ‘Saravanan’ who receives scholarship from Team Everest sharing his story on stage. Having scored good marks in his Plus-2, Saravanan was in a position to discontinue his studies. He started working in a small mobile shop to make his family meet its need. 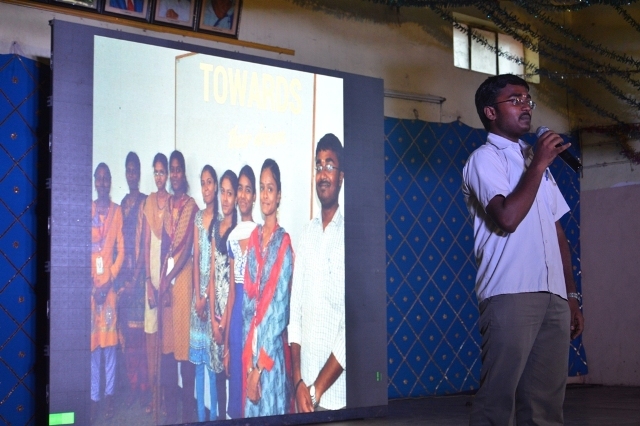 That’s when Team Everest identified Saravanan and sponsored for his education. He is currently pursuing B.Com 2nd year. 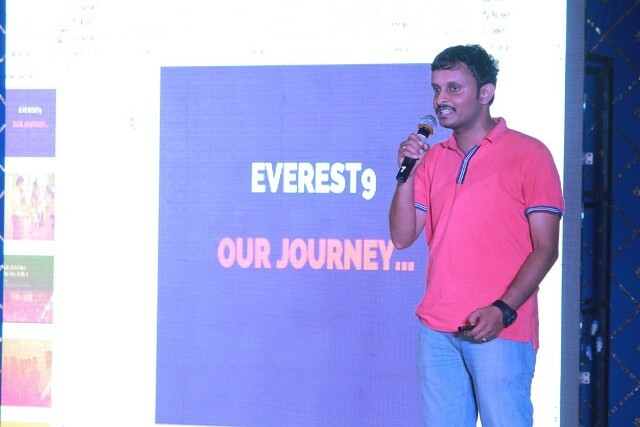 Everest volunteer ‘Praveen’ shares the story of Team Everest – Contest for a Cause initiative. 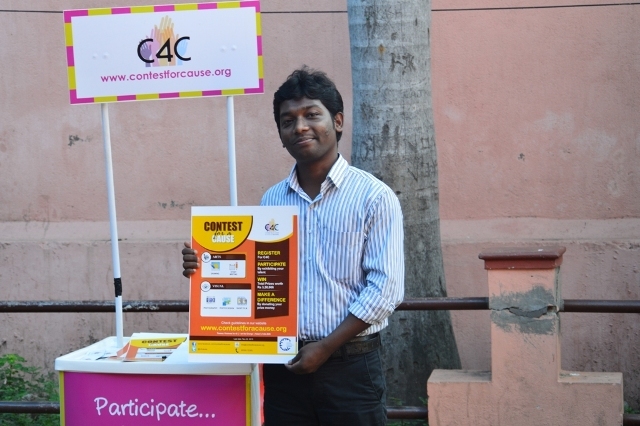 Contest for a Cause (C4C) is a national Art and Technology Fest, a first of its kind online event in India to promote volunteering and to provide a platform for people across the country to exhibit their artistic and technical skills through an array of competitions. 100% of prize money is donated for various social causes across the country. 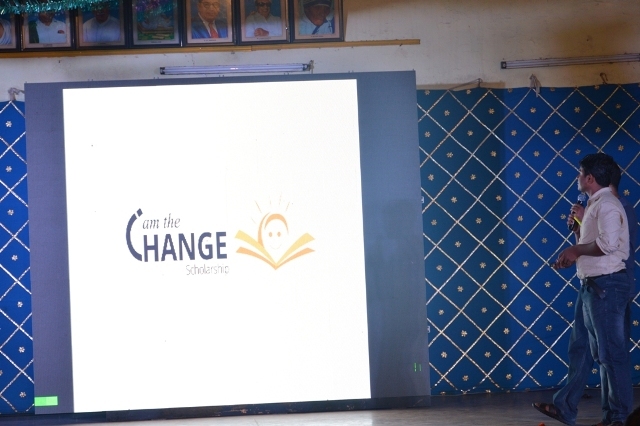 C4C has raised and donated Rs 20,00,000 in the past 3 years for various educational related initiatives like setting up libraries, computer labs, donating bench and desks, water purifiers, etc to schools. 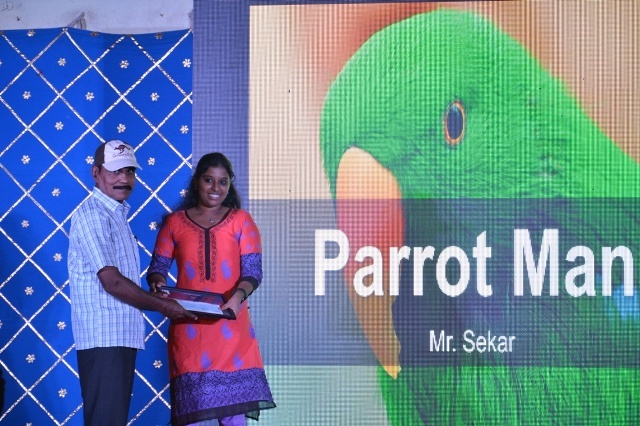 Mr. Sekar one of our Special Guest and a recipient of ‘I am the Change’ award under ‘Social Worker’ category is feeding more than 2000 parrots every day which visits his home in Chennai every day morning and evening to have their food. 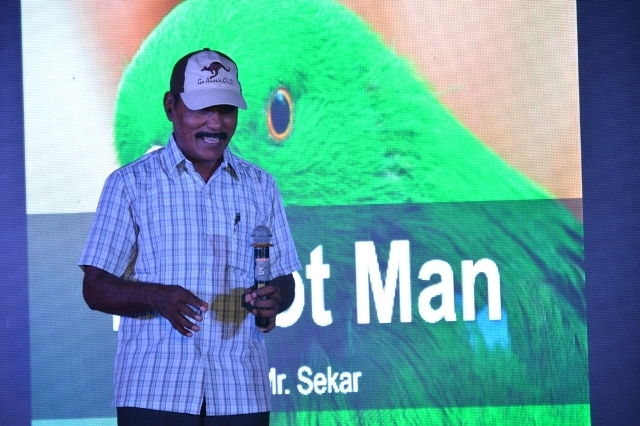 Sekar spends 40% of his income to feed these birds every month. He is an inspiration to many of us. 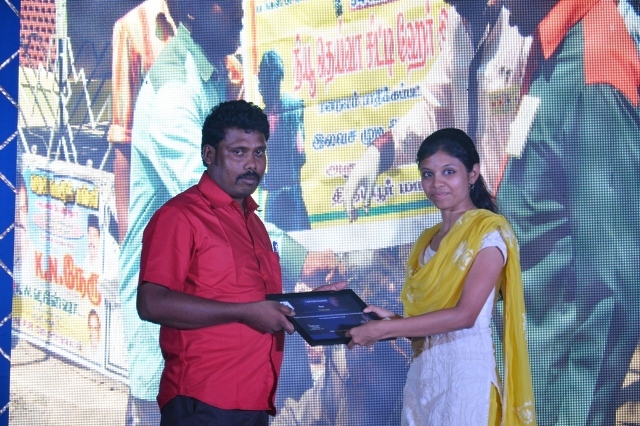 Mr. Sekar receiving ‘I am the Change’ award with a donation amount of Rs 10,000 from Team Everest volunteer Aswini. Mr Deivaraj is a barber and has voluntarily did hair cut for more than 50,000 people in the past 15 years. 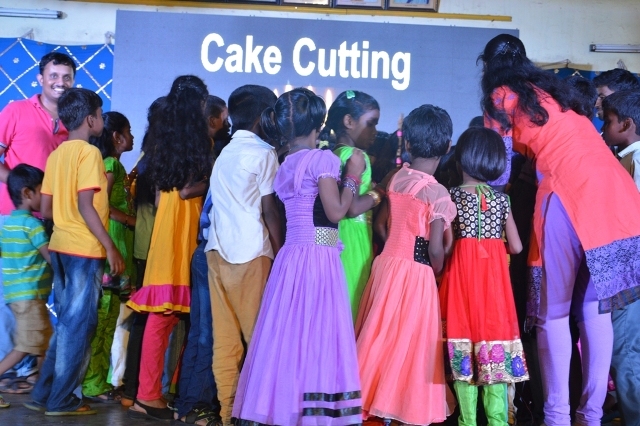 The beneficiary includes poor students, kids in orphanages and people on the streets. On holidays, he wanders in streets, identify homeless people and do a free haircut for them. His service is an eye opener for many of us. It just shows, which ever profession you are in, whatever skills you have, you can always use it to give back to the society. 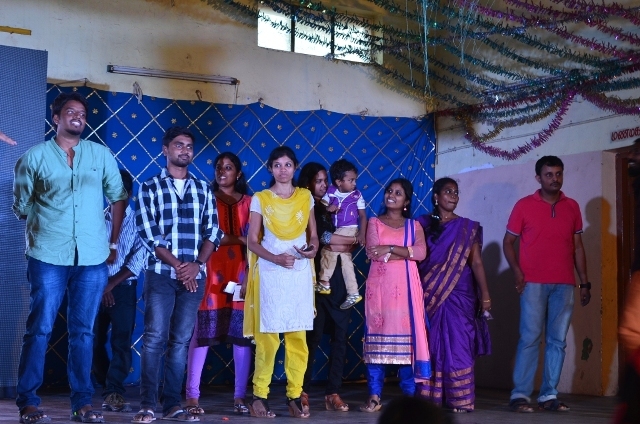 Mr. Deivaraj is one of the recipient of Team Everest ‘I am the Change’ award under ‘Social Worker’ category this year. He received a donation amount of Rs 10,000 from Team Everest this year. 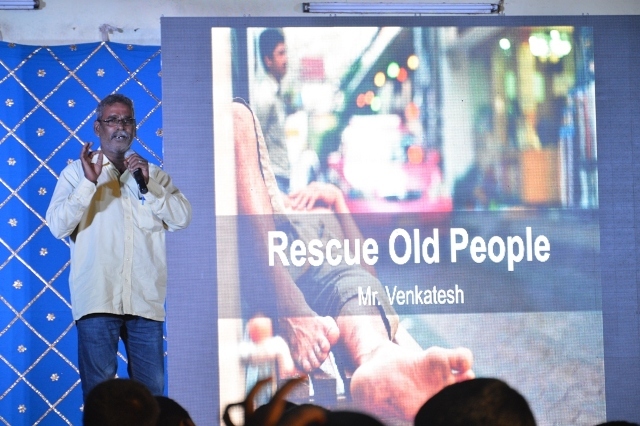 Mr. Venkatesh have rescued more than 1000 old people from streets and admitted them in homes which takes care of the homeless people. Many auto drivers have also volunteered along with him to rescue people from street. His service is beyond words. Hats off sir! 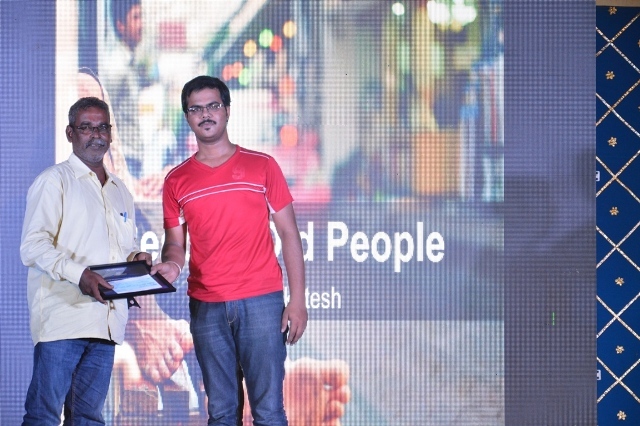 Mr. Venkatesh is one of the recipient of Team Everest ‘I am the Change’ award under ‘Social Worker’ category this year. He received a donation amount of Rs 10,000 from Team Everest this year. 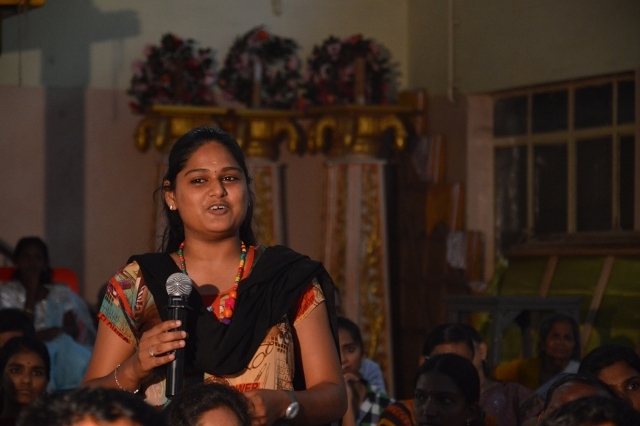 A volunteer asking a query to our special guest Mr.Venkatesh during the event. Volunteers having a fun time on stage. 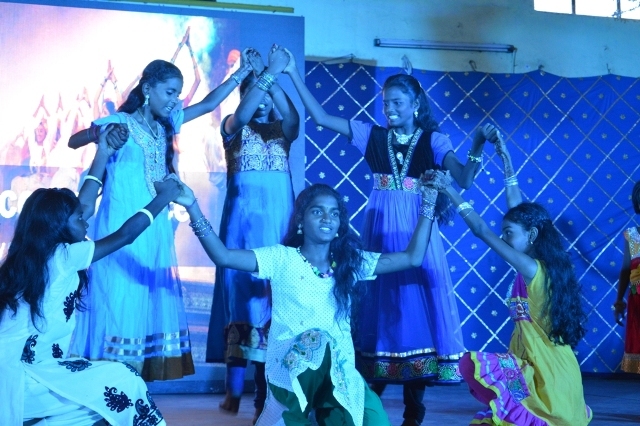 A small dance contest between boys and girls for which the audience voted. Both boys and girls emerged as winners at the end! Team Everest first volunteer and founder Karthee Vidya talking about the ‘Seed’ for Team Everest. 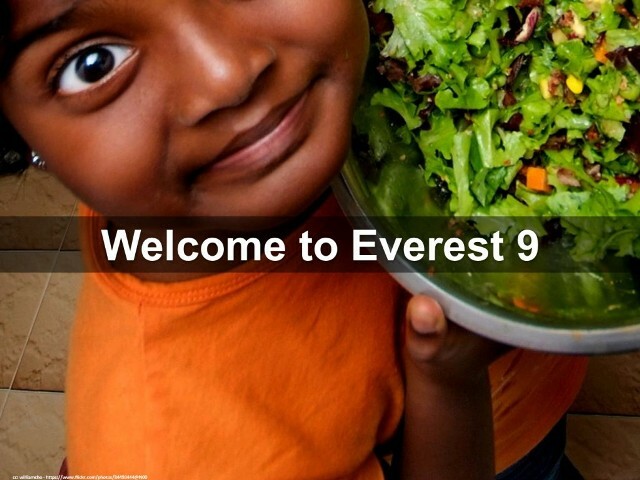 The difference between the quality of education between the rich and poor motivated him to start Team Everest in 2006. The Everest core team leaders on stage. 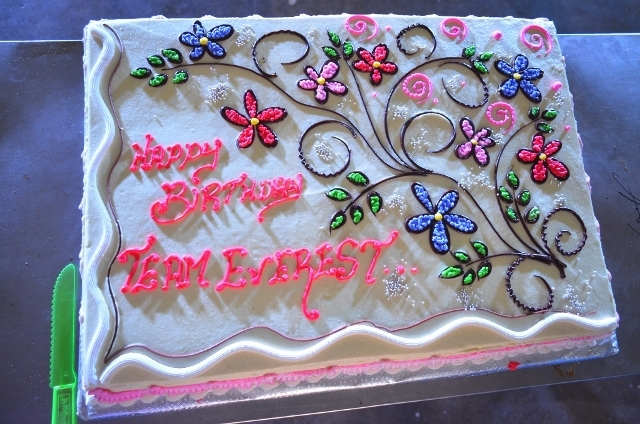 They lead from the front and responsible for all Team Everest activities happening across the country. 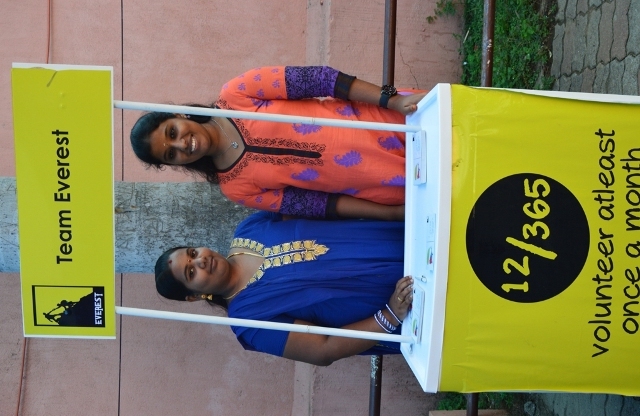 Team Everest first volunteer and founder Karthee Vidya requested every person to volunteer at least once a month (12/365). We believe in volunteering because it is as pure as mother’s love. It’s genuine and does not expect anything in return. 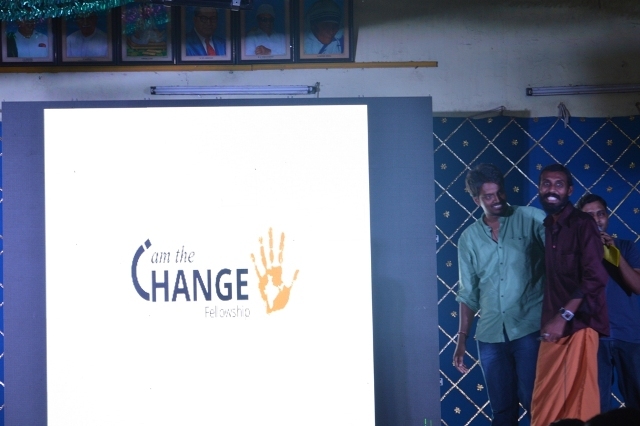 Everest volunteers Manikanta and Hanumanth who have quit their corporate careers to serve the country is launching the ‘I am the Change’ fellowship program on stage. 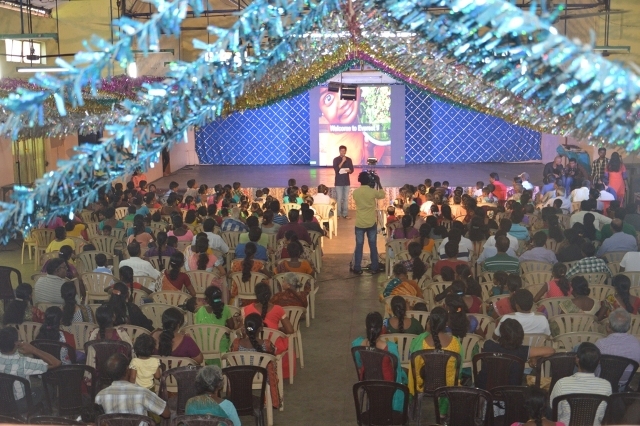 Everest volunteer Manoj who takes care of current Team Everest scholarship program is launching the ‘I am the Change’ scholarship program on stage. Team Everest mission is to motivate every person to volunteer at least once a month (12/365). 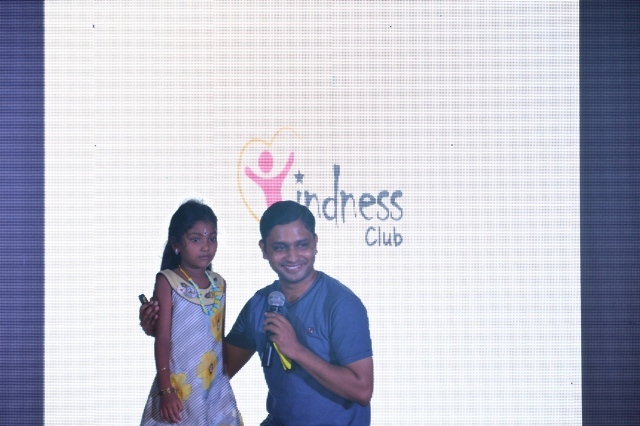 To cultivate the habit of volunteering, we have launched ‘Kindness Club’ during the Everest 9th anniversary. Kindness Club will teach Kindness, compassion and volunteering to school kids and enable them as change agents of the country. 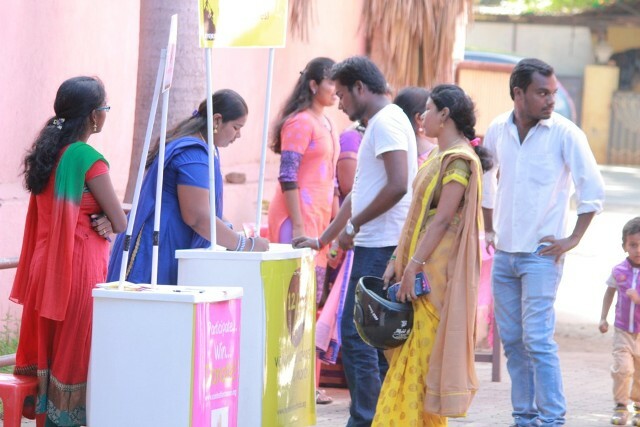 Through Kindness clubs, school students will start volunteering at least once a month to understand the problems in the society and how they can be a solution to it! 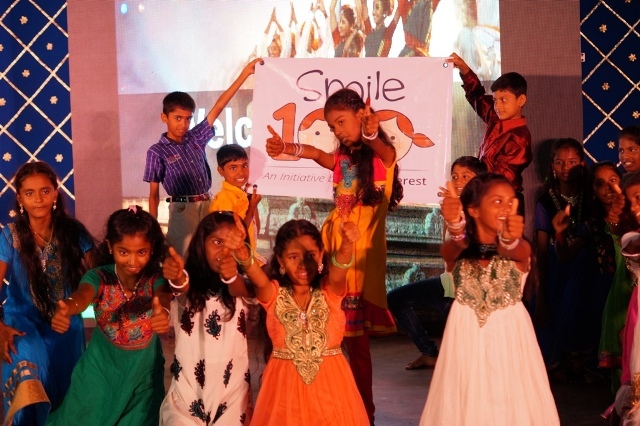 Our Smile 100 kid Lavanya studying 2nd std, who volunteers every month launched ‘Kindness Club’ on stage. 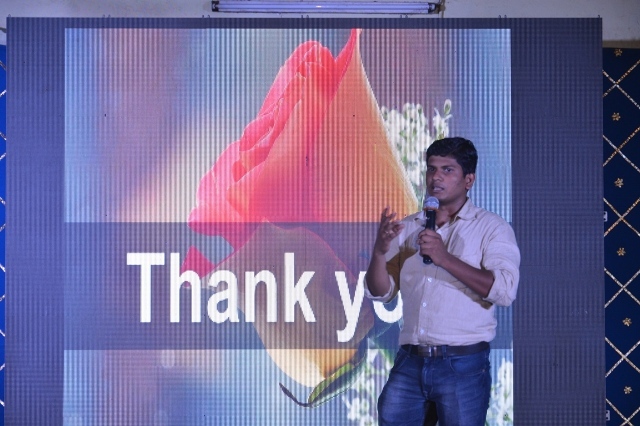 A final ‘Thank you’ note by our volunteer Manoj. Let’s keep volunteering at least once a month and make a difference to the people around. To be part of the volunteering journey and to get updates, whatsapp as ‘Update Me’ with your name and city to +91 89399 12365. 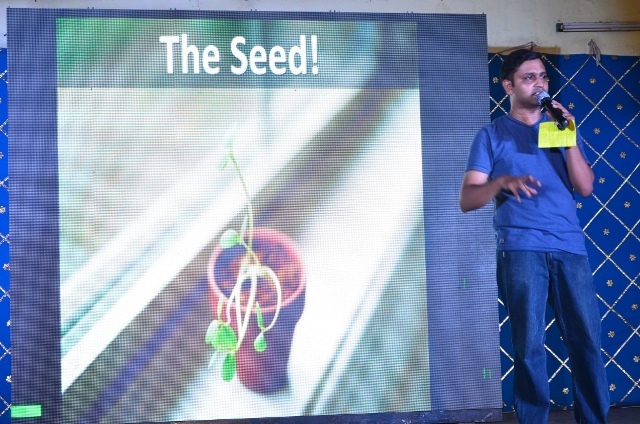 You will get individual whatsapp msg each week about volunteering opportunities in your city. Happy Volunteering!